We now call this meeting of the Drinking and Debating Society to order. Resolved: That a new whiskey bar can improve just about anything, even pubs previously considered unimprovable. We’ll take the affirmative side, as we tell you about The Whiskey Bar at Kelly’s Irish Times, now pouring at the venerable Capitol Hill dive, just in time for St. Patrick’s Day. So here’s this bar. Decades of history behind it. Hosts Hill staffers and cops with equal aplomb. Good jukebox. Beer. Corned beef. Great. Well, turns out, it wasn’t enough. Gone are the tables toward the back. 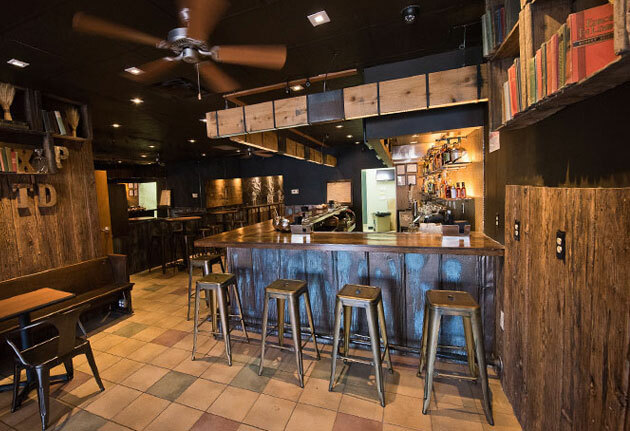 In their place: a totally refurbished dark-wood bar. You’ll see some stained glass, some police badges from around the country, a chalkboard for specials... but mostly you’ll see whiskeys. Ninety of them, to be exact, from Ireland, Scotland and the US. Manhattans: yes. A couple fingers’ worth on the rocks: of course. But every one of them also comes in a half pour for half price, so it’s easy to build your own flight. In coming weeks, expect some tasting events, but in the meantime, the whole rear space can be booked for parties... at which you could certainly do some tasting. We believe the question is settled.